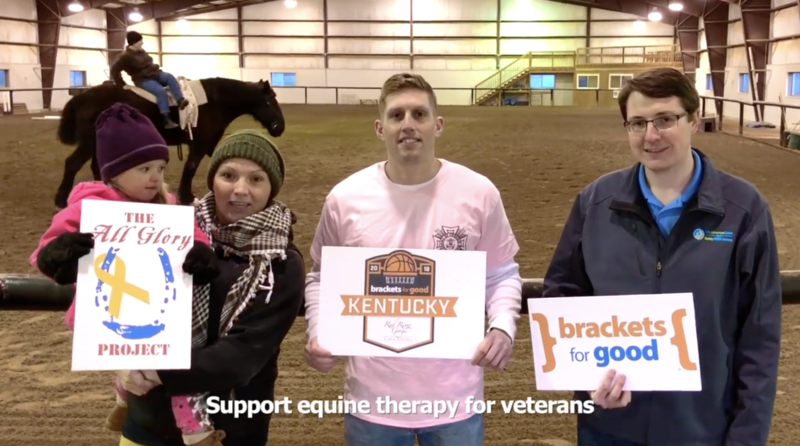 Help us continue to bring equine-assisted therapies, and other adjunct therapies, to the military, veterans, and their family members across the USA! SUCCESS!! 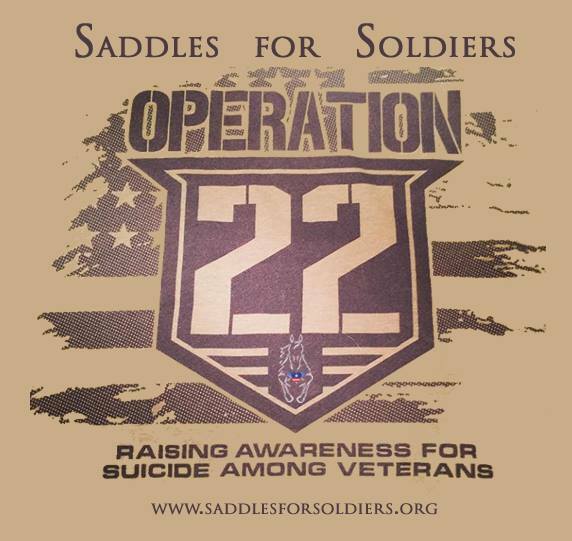 Your donations sponsored Military Veteran riders on horseback in Saddles for Soldiers' special Veterans Day event, the Operation 22 Trail Ride! 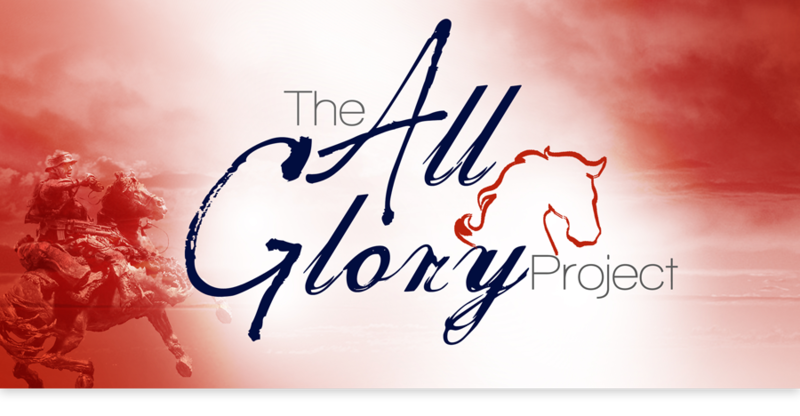 The All Glory Project is a national 501c3 charity that has been bringing equine-assisted and other adjunct therapies to veterans and their families since 2010! Thanks to all the donors that helped us get to ROUND 3 of Brackets for Good: Fundraising March Madness style! Thanks to your generosity, we were able to support the VETERANS VAULTING PROGRAM at the Warrior Life Adventure Center in Versailles, KY!! WE DID IT!! Thanks to YOUR donations, the Military Veterans of the DIAVOLO Dance Company will be dancing Feb 23, 24 at The Kennedy Center in D.C., and continuing the therapeutic program for future veterans! Our campaign raised nearly $20k in just 6 weeks! HUGE THANKS TO THE INTERNATIONAL FRIESIAN SHOW HORSE ASSOCIATION FOR SUPPORTING US WITH A BENEFIT CLASS DURING THEIR WORLD CHAMPONSHIPS SHOW, HELPING US BRING EQUINE-ASSISTED THERAPIES TO VETERANS! FOR THE THIRD YEAR IN A ROW!! The All Glory Project seeks to promote, foster and support programs and institutions and that utilize animal-assisted therapies, adjunct therapies, and complementary interventions in aiding the military, its veterans and their families. We are a national 501c3 public charity, a campaign of consciousness to thank our heroes, human and animal alike, as well as their families. We help therapeutic centers to initiate and expand programs for all those affected by military service, and we support efforts to increase public awareness and industry research about the powers of animal-assisted and adjunct therapy. The story of The All Glory Project 501(c)3 began at the 2010 BreyerFest in Lexington, KY. William and Elizabeth's Shatner's Standardbred, All Glory, was chosen to be the 2010 Celebration Horse. While in Lexington, Elizabeth became familiar with Central Kentucky Riding For Hope and partnered with many prominent community members to secure donations from several sponsors (including AT&T, Breyer Animal Creations, The KY Horse Park Gift Shop, The American Saddlebred Museum, Stone Horses and Elizabeth Shatner's Art by Nature) to help fund a pilot program of Horses for Heroes at the Lexington Central Kentucky Riding for Hope facility. Since that time CKRH has been able to bring hope and healing to veterans. Physically, they see improvements in such areas as balance, strength, flexibility and posture. Emotionally, the interaction with horses helps improve communication, self-confidence and team building. Next, the Shatner's world champion Saddlebred sire, Call Me Ringo was sculpted by Katherine Bogucki for the Peter Stone Company. 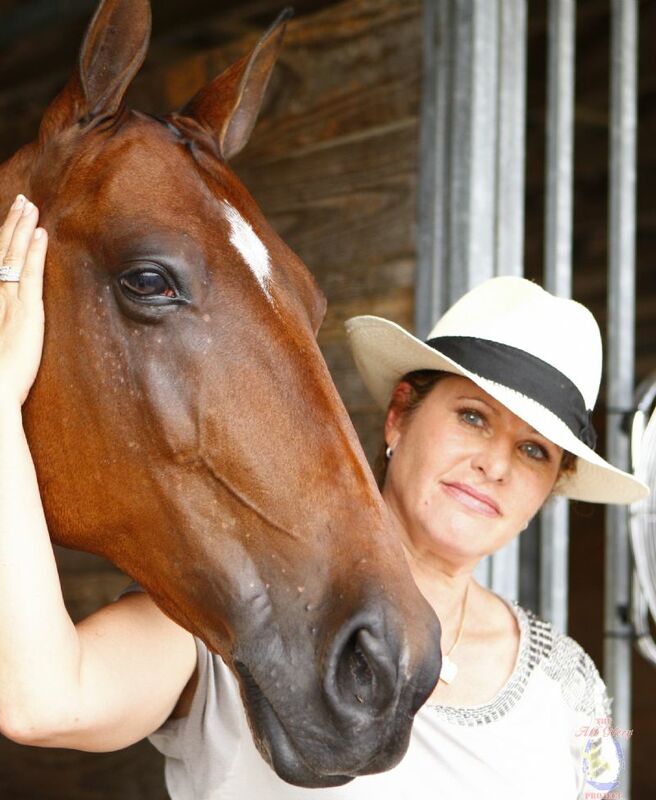 This model has also become part of the All Glory Project's mission to educate the public about opportunites to support equine-assisted therapy. 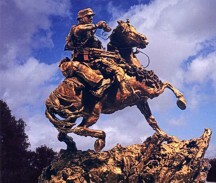 When purchasing the model on the Stone Horses site, the option is available to make a donation to the Central Kentucky Riding for Hope to support their Horses for Heroes Program. 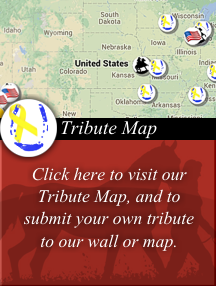 The All Glory Project is continually networking with different organizations to bring them on board with the overall goal of extending support and gratitude to all those affected by military service. The Hollywood Charity Horse Show began supporting the project in 2010, allowing us to co-present a special educational section of the horse show about equine services for our military. The All Glory Project is a 501(c)(3) tax-exempt non-profit charity. Click HERE to open a copy of our 501(c)3 approval letter.